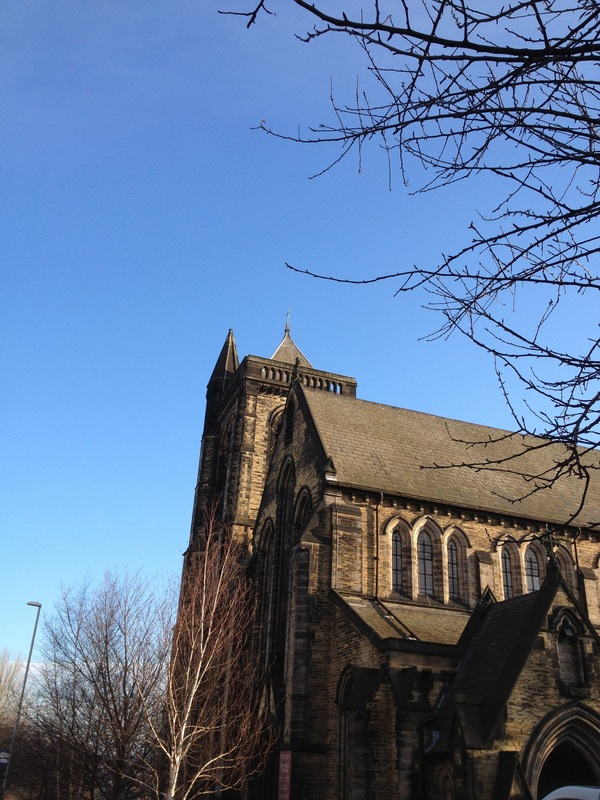 It was such a delight to be able to preach at All Souls’ in Leeds today (pictured) – this is the church I attended when I was at university the first time around – about 15 years ago! It’s often tempting, when thinking about the Transfiguration to talk about ‘mountain top’ experiences with God and hope that we will all get to experience God in a dramatic thunder and lightning way and regularly. Some Christians spend their whole time wishing for a dramatic experience of God and then wonder why they’re disappointed. Dramatic encounters of God are rare – even for saints such as St Peter. These flashes of God’s glory are incredibly rare both for the ordinary and extraordinary Christian. I don’t think the story of the transfiguration is there to tell us we can all have a mountain top experience of God. I think it’s there to reveal to us who Jesus really is. It feels like Jesus here lets Peter, James and John peer behind the curtain to see who He really is. So let’s have a peer behind the curtain ourselves. Jesus takes just Peter, James and John to pray with him. Incredibly, they are heavy with sleep when they get to the top of the mountain. Can you think of another occasion where Jesus takes Peter, James and John to pray with him and they fall asleep? It made me straight away think of the garden of Gethsemane. I think this shows something of the disciples’ inability to comprehend Jesus. On the mountain top, the divinity of Christ is revealed to them. They are woken up by the flashing light – the word used to describe Jesus’ dazzling appearance is the same as that used to describe lightning. The disciples are woken out of their ignorance, their sleeping, to see the light of Christ. In the garden of Gethsemane, the humanity of Christ is fully revealed to them. They are woken up by Jesus to see him going to his death. The fact that they are asleep on both occasions speaks to me of the difficulty of really comprehending who Jesus is, who God the Father, Son and Holy Spirit is – the deep Trinitarian mystery at the heart of our faith. At college recently we had a talk from an Orthodox priest and he was telling us about the iconostasis which is the screen that is put up in front of the altar in Orthodox churches . On certain occasions in the year, the screen is opened up for people to see through. This only happens at certain times such as Easter week. As Father Andrew was speaking, it made me think about how we, as Christians, only see rare glimpses of God. Much of the time we are either asleep, like the disciples, or experiencing hardship, rather than seeing the glory of God on the mountain top. Indeed if we were really to see God in all His glory we would be perplexed and terrified, just as Peter, James and John were. I’m not sure the experience they had was altogether comfortable! So Peter, James and John are woken up from their sleep by this lightning flashing and somehow discern that Jesus is speaking to the two great figures of Judaism – Moses and Elijah. These were men who were long-dead. What this does is point to the reality of resurrection. ‘do not think that I have come to abolish the Law or the Prophets; I have come not to abolish them but to fulfil them’ – Mt 5:17. Peter, James and John are given a revelation of who Jesus really is. We see quite clearly that Jesus is on a level with God himself. He’s not just a good teacher, he is God incarnate. So, we, just before the contemplative and sometimes difficult season of Lent, are given a glimpse of who Jesus really is, resurrected, ascended, glorified; we must keep this reality in our minds as we journey towards Easter. A while ago I had the experience of walking a prayer labyrinth. 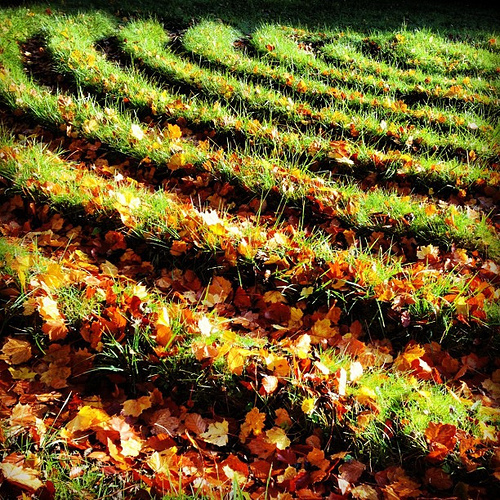 A prayer labyrinth is a circular path which you walk on slowly and contemplatively. The path winds into a central space and back out again. These labyrinths appeared in medieval times – there is a famous one in Chartres cathedral – it ended up in the Da Vinci Code! These labyrinths were created so that Christians who couldn’t afford to go on a full pilgrimage to a foreign land could go on a ‘mini’ pilgrimage a bit closer to home. Walking the path for the first time it felt as if the path represented my life with God. When I started the prayer labyrinth, for the entire first half I was desperate to get to the middle. The centre of the labyrinth represents communion with God. I spent most of the first part of the walk looking forward to getting to the middle and thinking about what would happen when I got there. Once I did get to the middle, it didn’t feel all that different. I felt God saying to me ‘did you not think I was already with you?’ I realised that the presence of God was in the whole of my journey of life. It was as if the presence of God was like a river running through that path – perhaps deeper in the middle but the water a soothing presence throughout. As I left the middle of the labyrinth to wind my way back to the beginning I had a whole new perspective. I realised that, although there are times when we feel particularly close to God – just like Peter, James and John experienced on the mountain – He is actually with us all the time. He is the paraclete, the Holy Spirit, the one who comes alongside. So be encouraged as we go into Lent, the resurrected Christ is with us throughout our journey of life, whether we are in darkness, or whether we are on the mountain top, He journeys with us and is the only one we should listen to. In the interests of sermon construction, here is a section that I wanted to use but didn’t make the final cut! There is something fascinating about the fact that the ‘transfigured’ Jesus is still recognisably Jesus. This reminds me of the story of the road to Emmaus, where the disciples at first don’t recognise the resurrected Jesus and then, suddenly, they know it is him, in the breaking of the bread. The sacrament in which we are about to take part has this mystery – the very presence of Christ in simple bread and wine – both a hiding and a revealing of who God is. I THOUGHT THIS WAS A WELL THOUGHT OUT SERMON BECAUSE IT ACTUALLY BRINGS THE POINT OF THE DISCIPLES BEING GIVEN A GLIMPES OF WHO JESUS IS. THE VOICE OF GOD CONFIRMING THIS. The curtain opening for them to view this glimpse of who Jesus is. God is with us all the time and not to chase for experiences only. The labyrinth with the experience of soothing water flowing in our life.